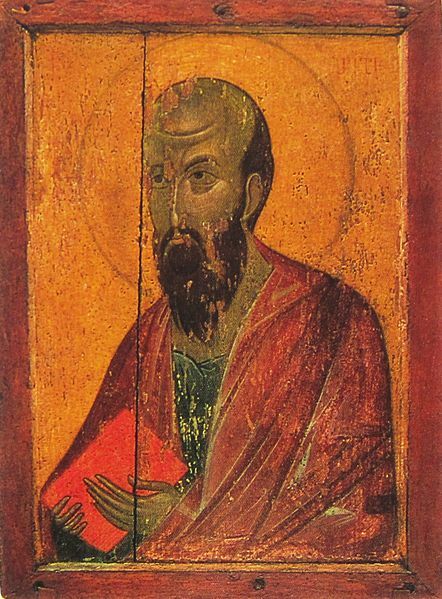 What Did Paul Look Like? In class the other day we discussed Paul’s personal presence. He notes in 1 Corinthians 2 that when he was in Corinth he intentionally avoided impressive rhetorical displays by purposefully embodying the crucified Christ. Passages like that provoke the imagination—how exactly did that play out? And, beyond that, what did Paul look like? We can’t know for sure, obviously, but we get a few clues from the New Testament and early church history. Putting it frankly, he probably wasn’t all that pleasant to behold. I know what some people are saying: “His letters are severe and powerful, but in person he is weak and his speech is worth nothing” (CEB). Then some Jews came from Antioch and Iconium and won the crowd over. They stoned Paul and dragged him outside the city, thinking he was dead. But after the disciples had gathered around him, he got up and went back into the city. The next day he and Barnabas left for Derbe. Luke is provoking our sanctified imaginations regarding the brutality of this scene. It’s supposed to be shocking! Paul’s injuries must have been horrible if a riotous crowd fueled by religious zeal brutalized Paul so badly that they thought he was dead! Just after this episode, Paul and his companions made their way to Derbe, likely one of the churches to which he wrote Galatians. In Galatians 4, Paul says that he visited them the first time because of a bodily condition that “put them to the test” (Gal. 4:13-14). He probably had to crash in Derbe just to recuperate from the broken bones, cuts, bruises, and crushed skull. It’s reasonable to assume that if a frenzied crowd stoned a person (think “boulders,” not “stones”) to the point where they were sure he was dead, that’s the sort of shape he’d be in. His physical presence in Galatia probably turned stomachs. He finishes his letter by saying of his scars, bruises, and injuries that “I bear on my body the marks of Jesus” (Gal. 6:17). I used to joke with my undergraduate students that if Paul were to speak in our university chapel, the large screens at the front that display the speaker’s image might just so happen to not be working that day! If we imagine Paul through our modern projections of what ministry super-stars are supposed to look like, we’d be seriously disappointed if we ever did meet him! I don’t care what Paul looked like but he sure could write Koine Greek well. But I am not sure that I trust Luke’s description as I think that Luke was a sort of a historical-fiction type writer. He added things to his stories to make them more interesting. He wasn’t be dishonest but just following Greek writing habit and procedures of the time. That’s a pretty skeptical perspective, Laurence. You’re right that Luke isn’t writing “history,” but does that mean that you can’t trust what he writes? It seems that while Luke writes a theologically-oriented narrative, he knew Paul well, so surely what he writes represents historical reality to some extent. Depicting Jesus as a Northern European (as you indicate in your beginning) is just one of the ways we’ve (re)made Jesus in our image. Stephen Prothero’s work, American Jesus, is a nice survey of other ways this has been done. Hey Laurence. Next you’ll be telling us that Luke was the precursor to Tolkien. Sometimes people just take things too far. So now we need a fantasy fiction hermeneutic? Hey, take it easy–I understand the hesitance to take Luke as writing straight history. He actually isn’t doing that, but there’s good reason to see his account of Paul as giving us a good idea of what sort of brutal physical shape Paul was in.